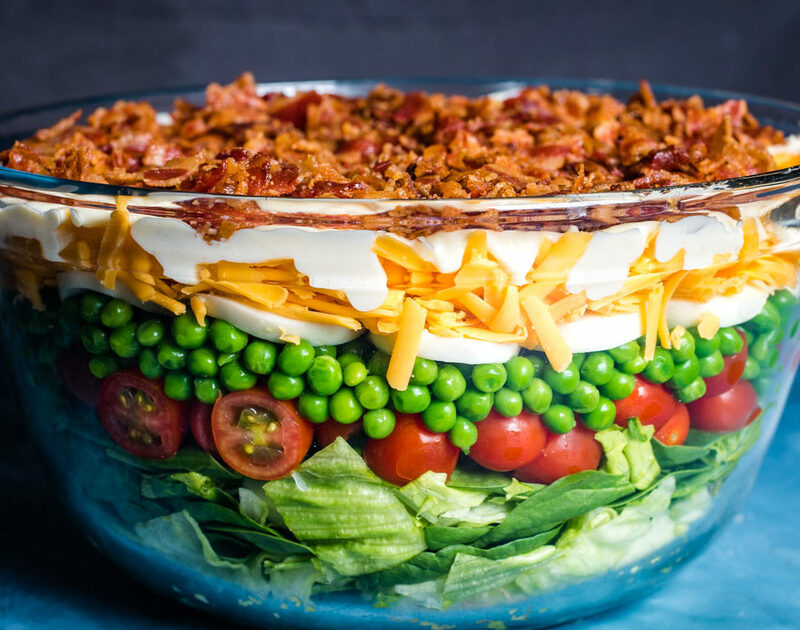 Use up leftover hard-boiled eggs by mixing them into a Seven Layer Salad by Ohio food blogger Tastes of Lizzy T .
Cook bacon in a large skillet over medium heat until evenly brown and crisp. Allow the bacon to drain on paper towels. Crumble and set aside. Prepare the dressing by whisking together the mayonnaise, sour cream, sugar and Parmesan cheese. Cover and refrigerate until you are ready to top the salad. 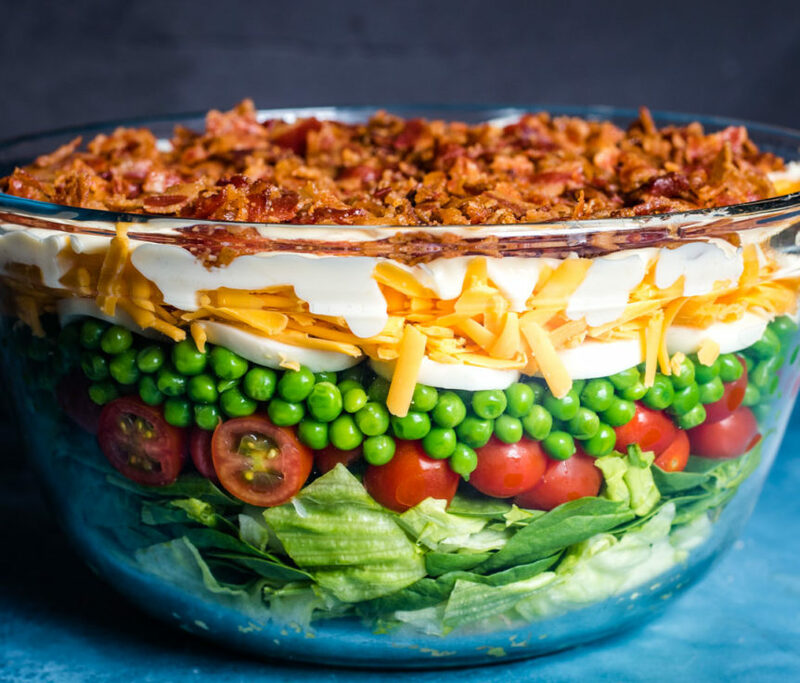 In a large 4-quart glass bowl, layer the chopped lettuce, tomatoes, peas, eggs and cheese. Drizzle the dressing over the salad, covering as much of the top as possible. Sprinkle the top with bacon. Cover and refrigerate until it's time to serve.